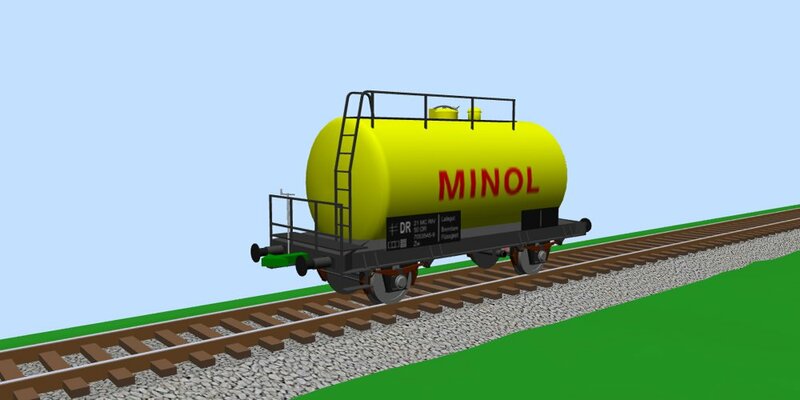 2-axle tank car type Zw of DR (fallen flag railroad operator in former East Germany), in yellow color and with logo of Minol. Gauge (proto): 1435mm; 4' 8½"
Base (proto): 4.5m; 14' 9.2"
(C) 2016-2019 by Milen Peev. All rights reserved.